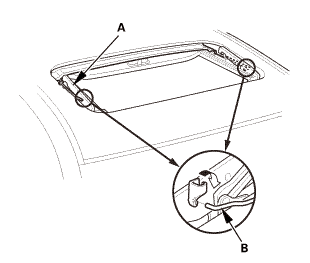 Remove both moonroof sunshade slider spacers (A). 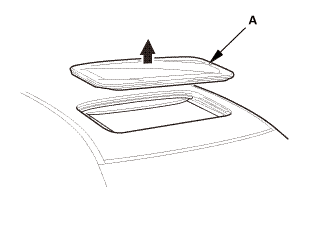 Remove both moonroof sunshade rear hooks (A). 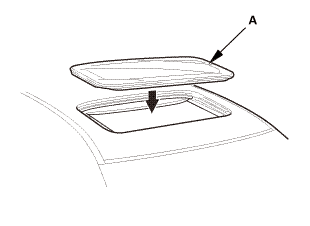 Remove the moonroof sunshade (A). 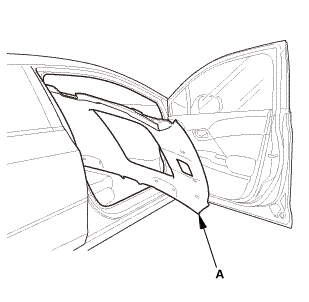 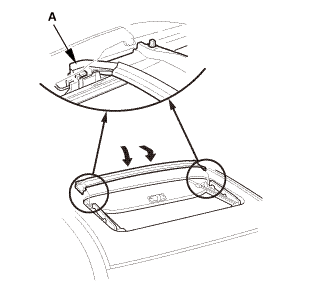 Remove both front moonroof sunshade base sliders (A) and both rear moonroof sunshade base sliders (B). 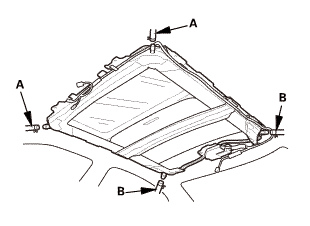 Remove the moonroof motor (A). 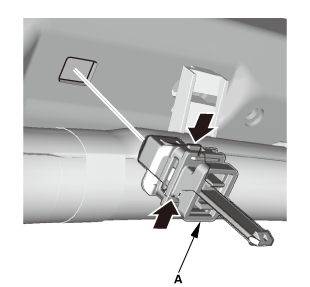 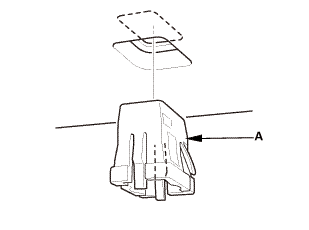 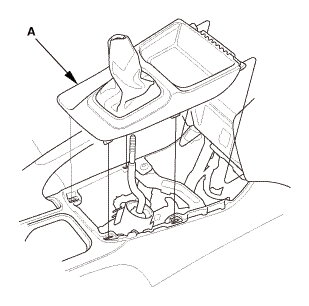 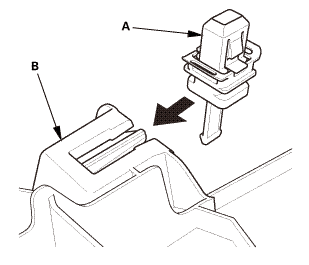 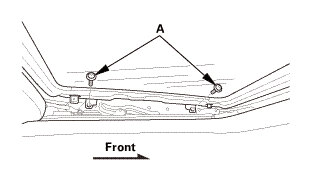 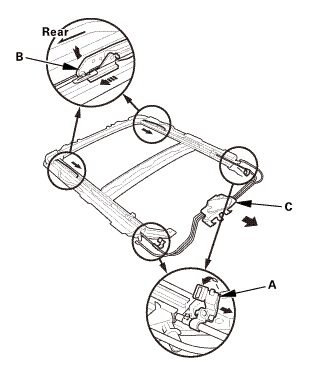 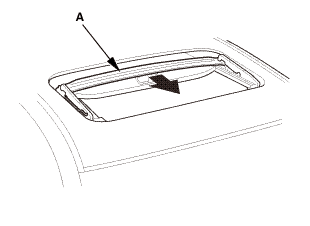 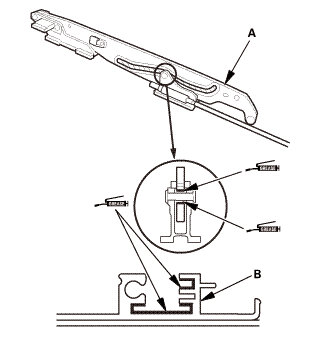 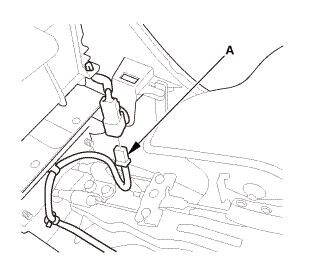 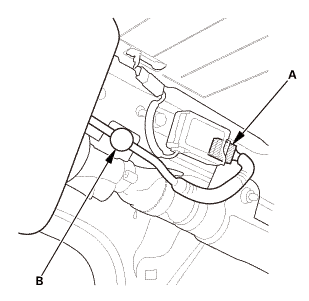 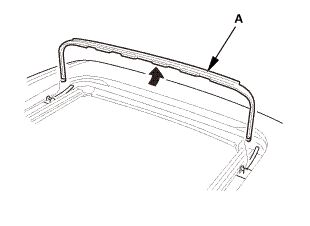 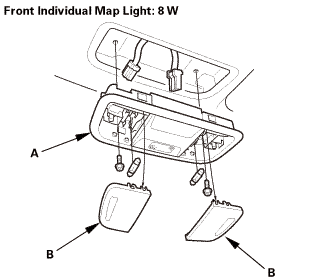 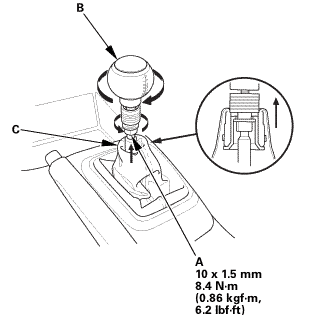 Disconnect the moonroof front drain tubes (A) and the moonroof rear drain tubes (B). 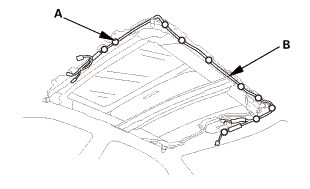 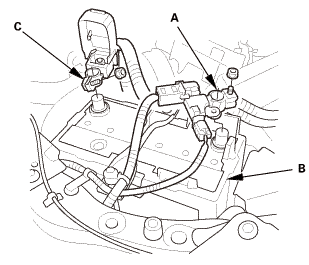 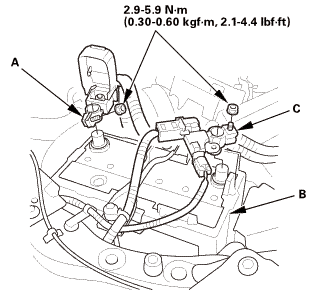 Remove the roof wire harness (B). 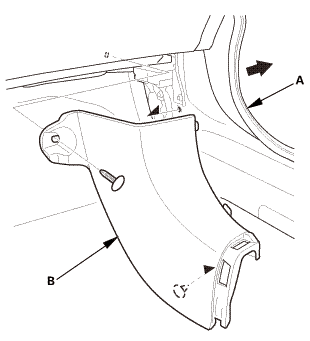 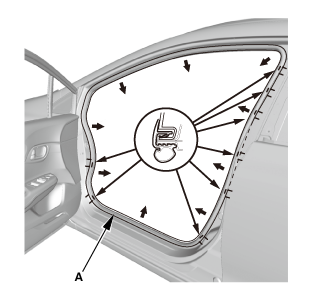 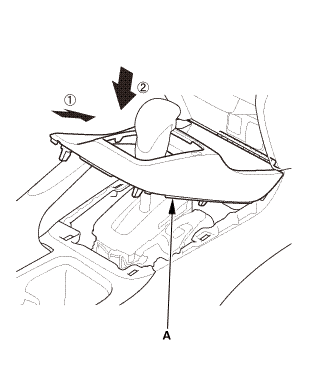 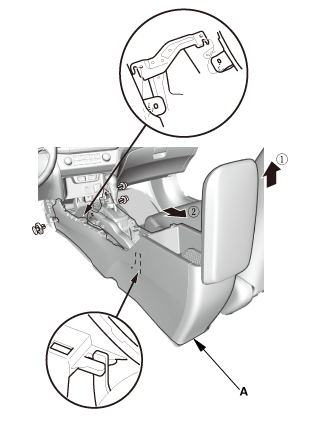 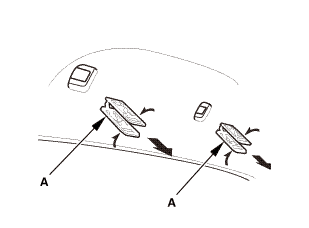 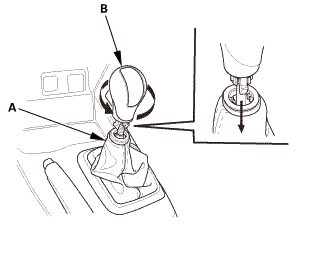 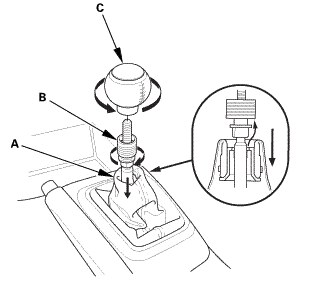 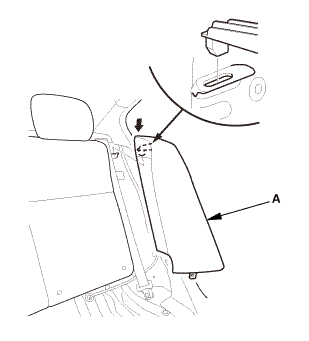 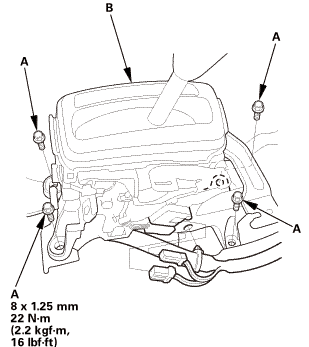 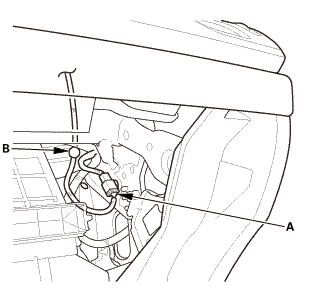 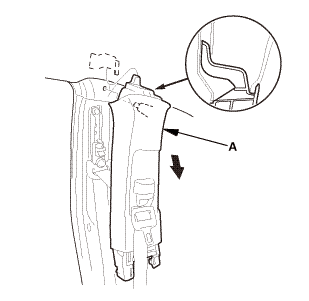 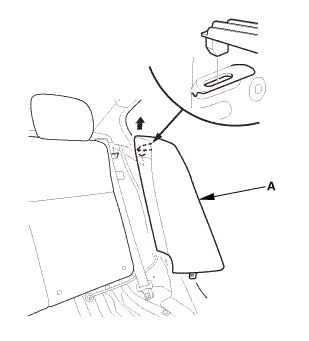 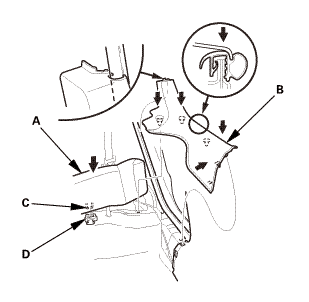 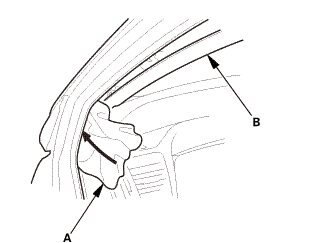 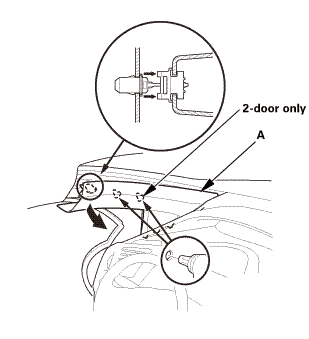 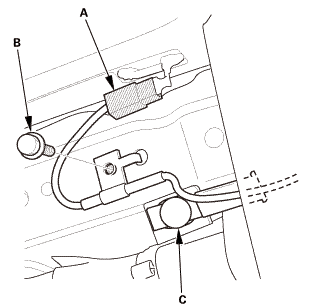 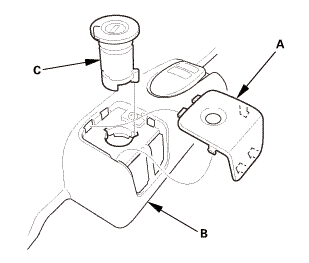 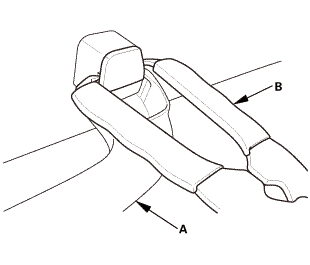 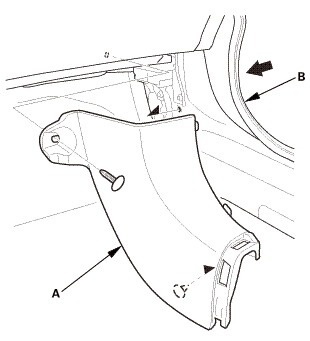 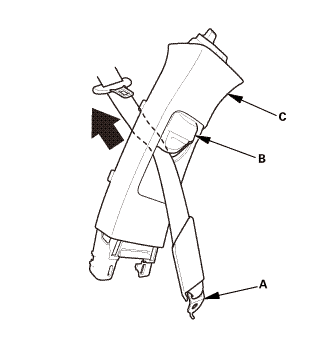 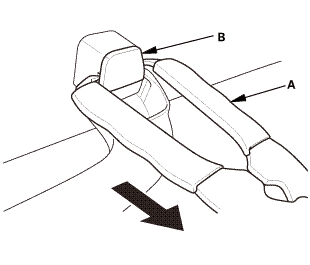 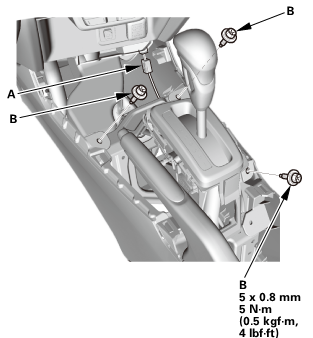 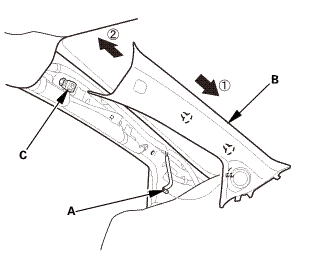 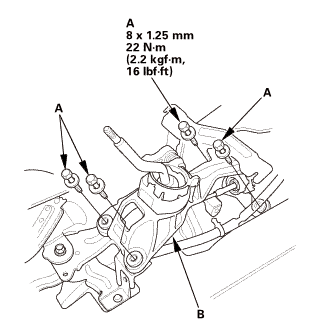 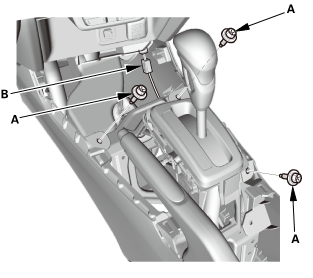 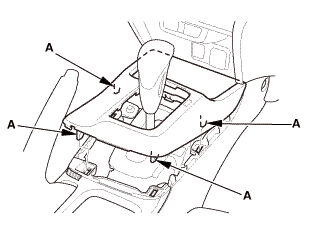 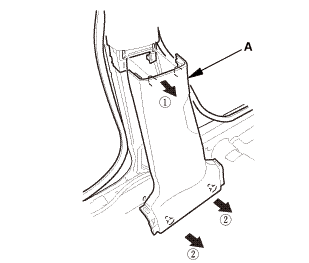 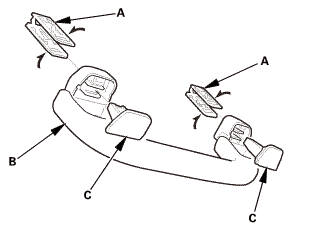 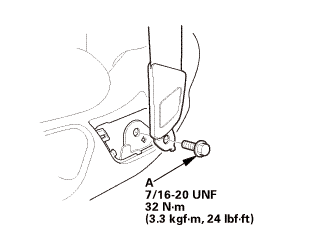 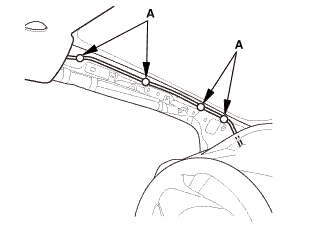 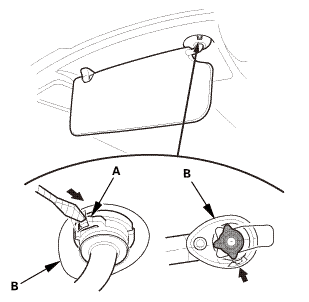 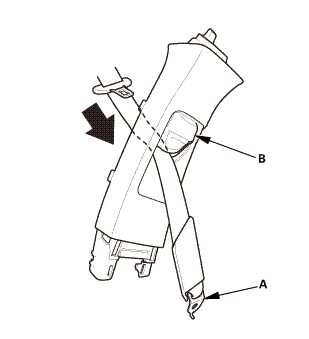 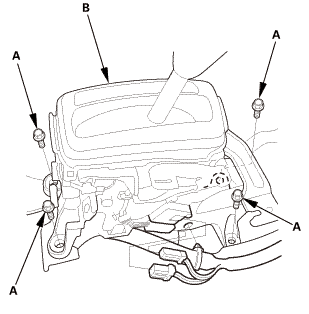 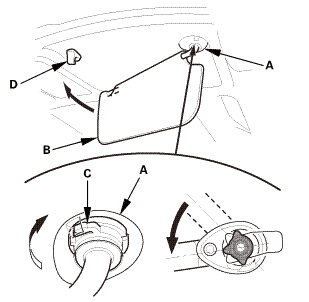 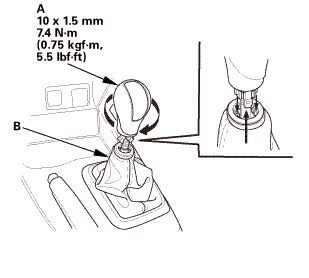 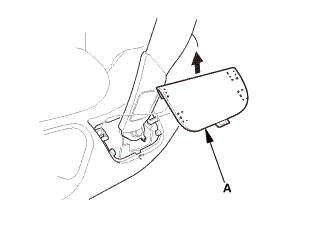 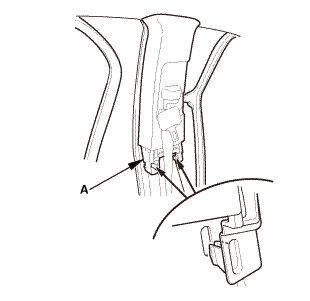 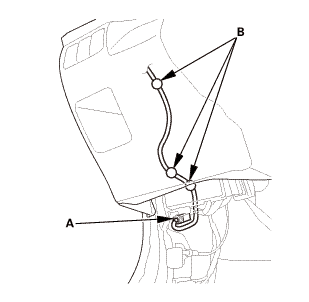 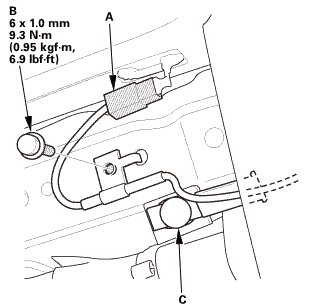 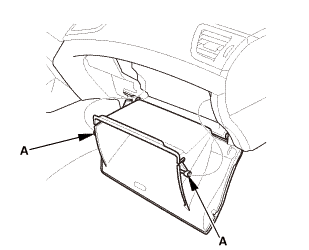 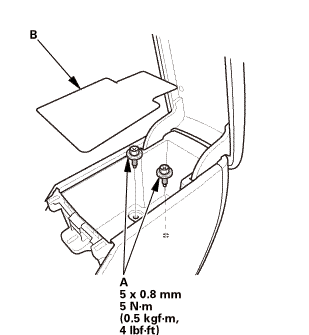 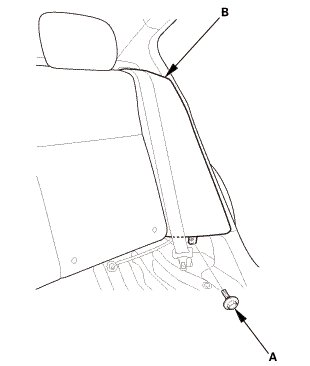 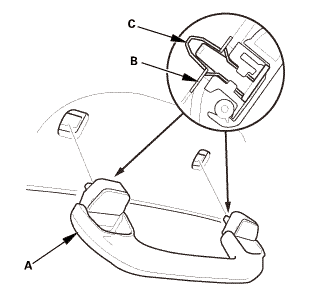 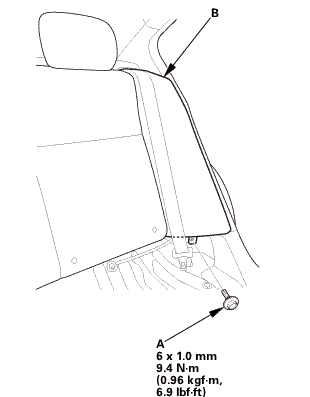 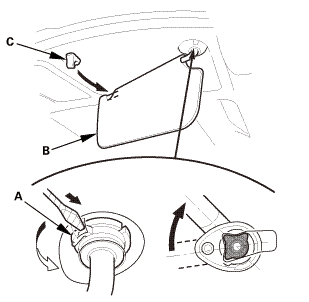 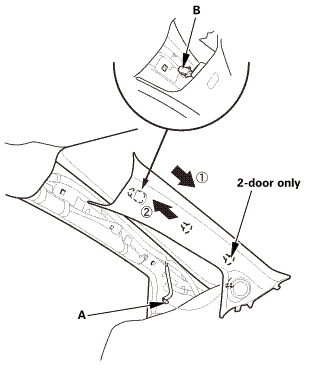 Fix the side curtain airbag protector (A) with the tapes (B), then remove the bolt (C). 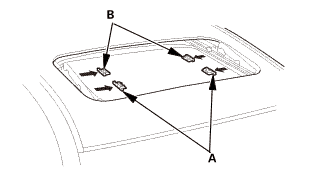 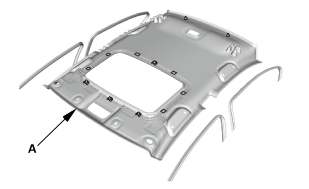 Remove the moonroof frame assembly (A). 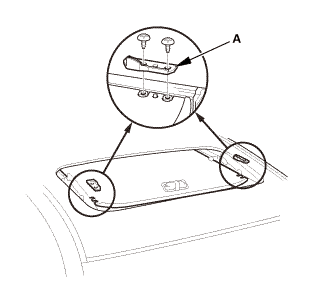 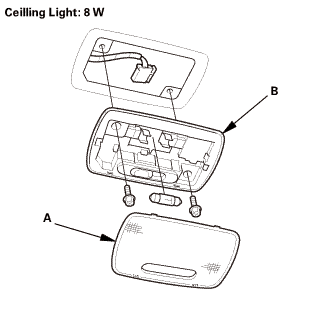 Remove the moonroof cable assembly (A). 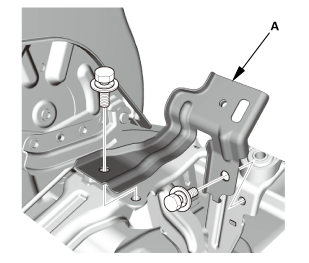 Turn both cable tube side brackets (A). Slide both glass brackets (B). 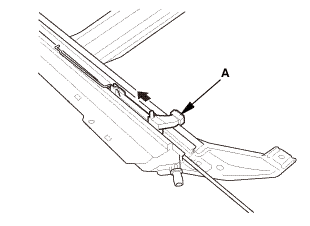 Slide the moonroof cable assembly (C) half-way back. 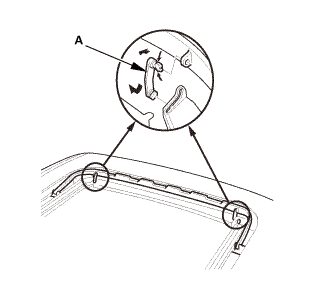 Remove both moonroof drain channel sliders (A). 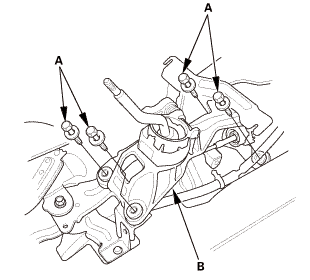 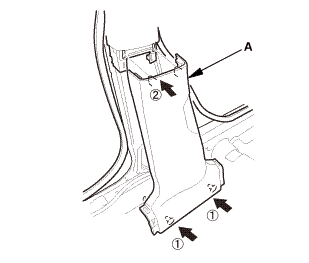 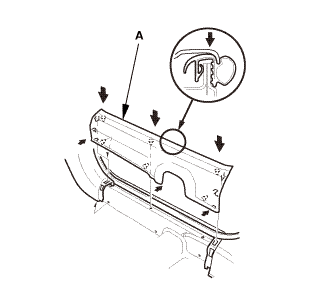 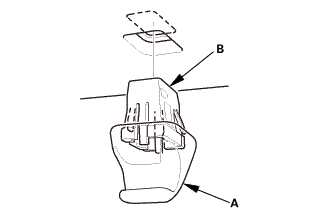 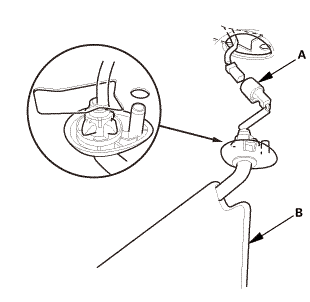 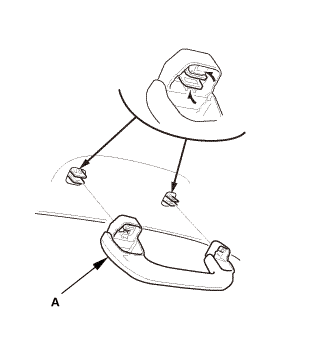 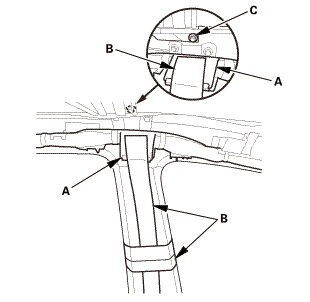 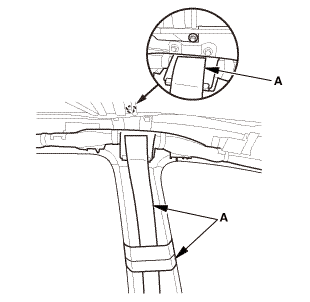 Apply multipurpose grease to the glass bracket (A) and the guide rail area of the frame (B) indicated by the arrows. 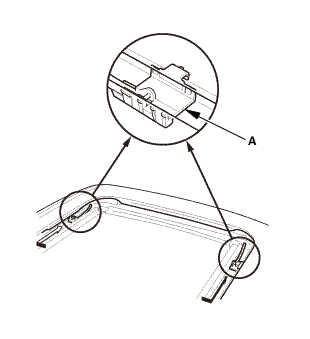 Install both moonroof drain channel sliders (A). 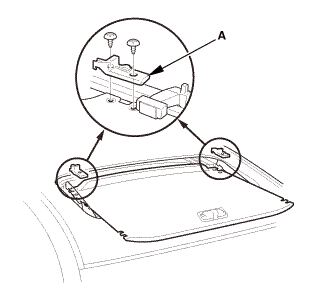 Install the moonroof cable assembly (A). 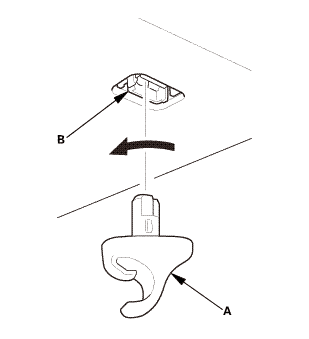 Install both glass brackets (B). 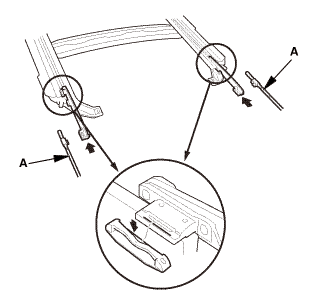 Install both cable tube side brackets (C). 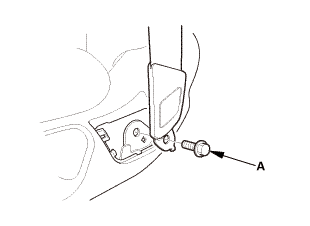 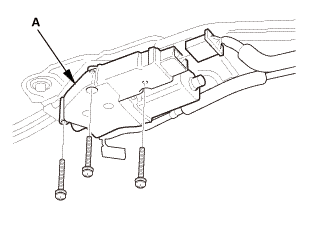 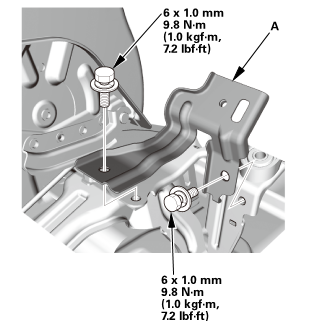 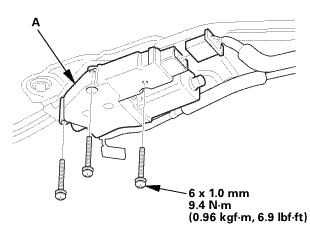 Install the screws (A) and the bolt (B). Install the moonroof frame assembly (A). 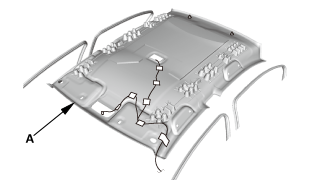 Install the roof wire harness (B). 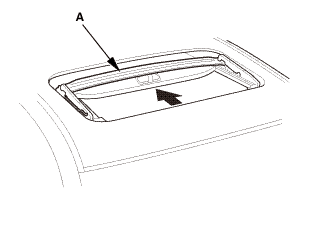 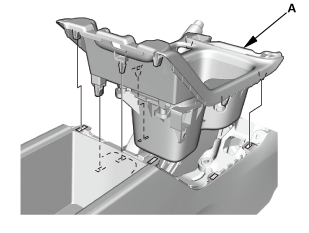 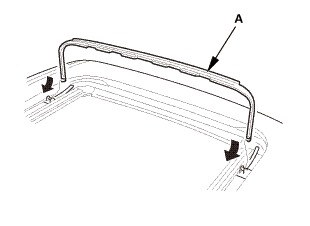 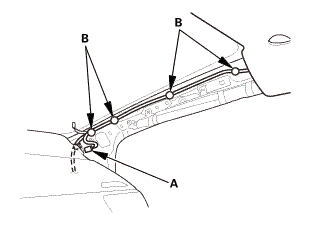 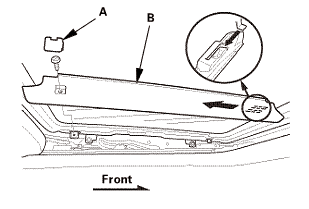 Connect the moonroof front drain tubes (A) and the moonroof rear drain tubes (B). 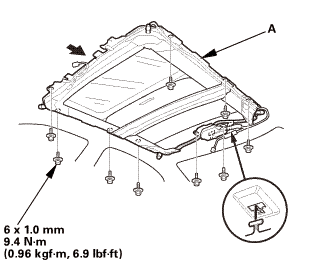 Install the moonroof motor (A). 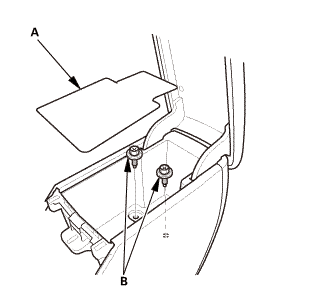 Install both front moonroof sunshade base sliders (A) and both rear moonroof sunshade base sliders (B). 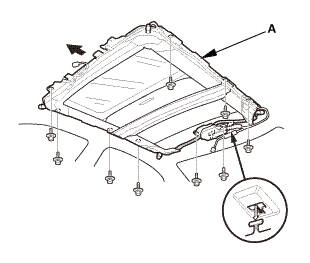 Install the moonroof sunshade (A). 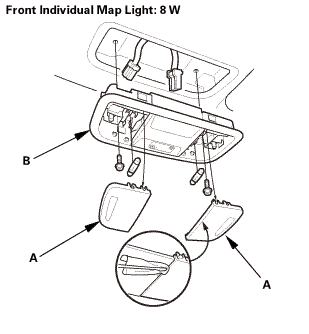 Install both moonroof sunshade rear hooks (A). 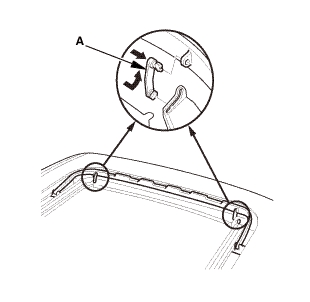 Install both moonroof sunshade slider spacers (A).